Samsung J5 2016 Frp Lock Skip On Android V7.1.1 Last Update Patch. 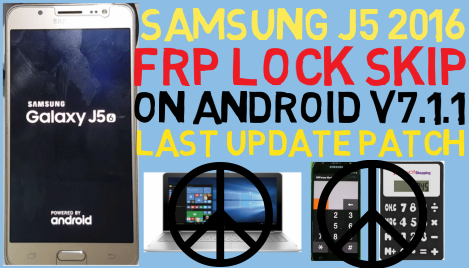 Samsung J5 2016 Frp Lock Skip V7.1.1 Required File. Samsung J5 2016 Frp Lock Skip Method.